The Advent Wreath represents the long time when people lived in spiritual darkness, waiting for the coming of the Messiah, the Light of the world. Traditionally, there are three violet candles and one rose colored candle. The first candle of the Advent Wreath, the Prophecy Candle or Candle of Hope, is purple. The second, called the Bethlehem Candle or the Candle of Preparation, is also purple. 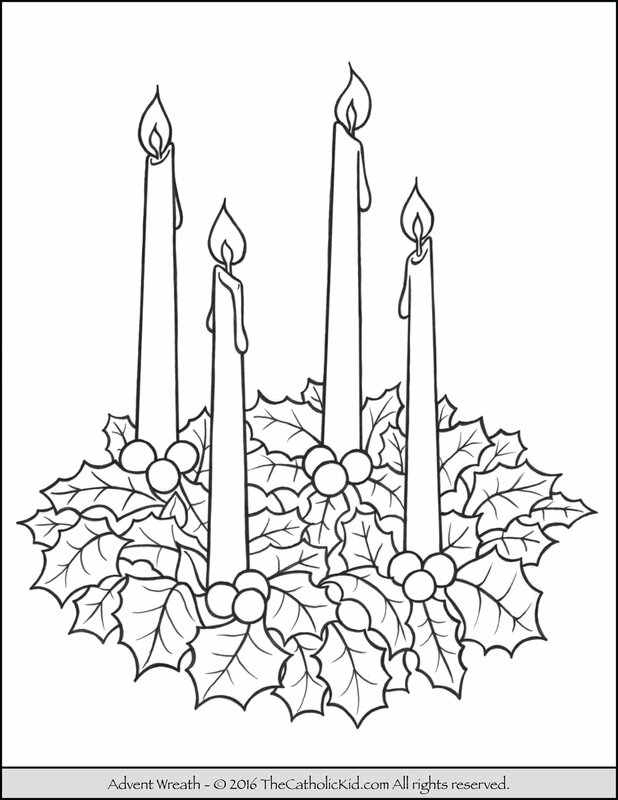 The fourth Advent Candle color is purple. It’s called the Angel Candle or the Candle of Love. 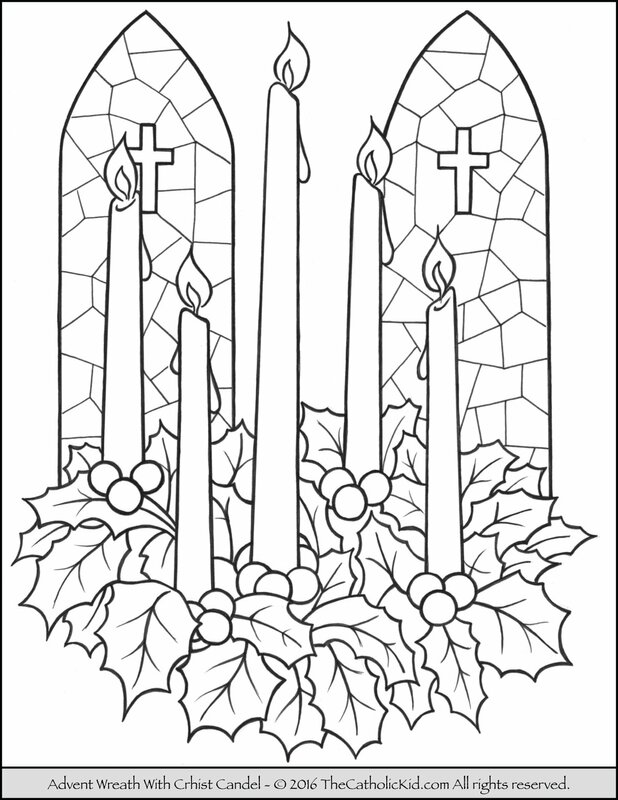 Here’s a second Advent Wreath coloring page that has the Chris Candle. That is awesome. Thank you for putting the meaning behind the candles. I always forget and end up googling it. I used to teach kindergarteners and would often print pictures from this site because they are so good and child-friendly (big coloring areas). Even though I am teaching older kids now, I’m still going to do this Advent wreath with them. I’ve realized everyone loves coloring no matter the age. Have a wonderful Christmas!